He penned songs such as "Witchcraft" and "The Best is Yet to Come" (signature tunes for Frank Sinatra and Tony Bennett, respectively) and wrote such musicals as Sweet Charity, I Love My Wife,On the Twentieth Century, and The Will Rogers Follies - yet his life has gone entirely unexplored until now. 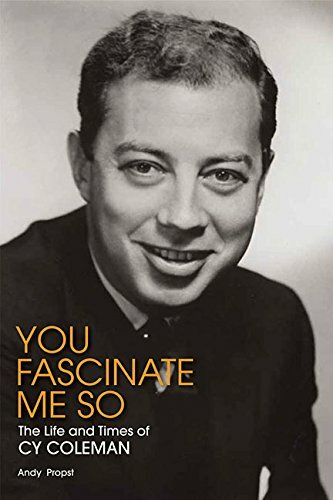 You Fascinate Me So takes readers into the world and work of Tony, Grammy, and Emmy Award-winning composer/performer Cy Coleman, exploring his days as a child prodigy in the 1930s, his time as a hot jazz pianist and early television celebrity in the 1950s, and his life as one of Broadway's preeminent composers. The first-time biography of Coleman has been written with the full cooperation of his estate, and it is filled with previously unknown details about his body of work. Additionally, interviews with colleagues and friends, including Marilyn and Alan Bergman, Ken Howard, Michele Lee, James Naughton, Bebe Neuwirth, Hal Prince, Chita Rivera, and Tommy Tune, provide insight into Coleman's personality and career.